Google announced a couple of days ago; We can use Google Cloud Function as Chromium. For this, we use Node.js 8 runtime on Google Cloud Function. 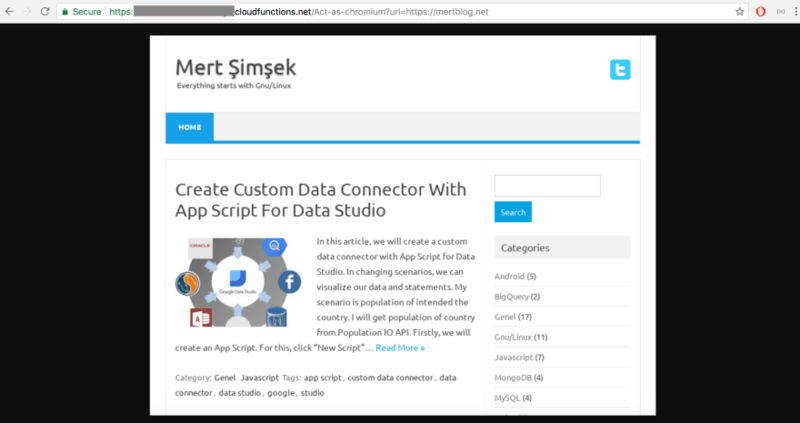 Let’s create a function on Google Cloud. Click the Create Function button. In order, we will fill in the blanks. Set the memory less 1 GB. I set the Source code inline. Then, we are writing our index.js as below. // Launch headless Chrome. Turn off sandbox so Chrome can run under root. After this, define the package.json. We use the puppeteer library for this. Click the button below the form and function is created. From now on, we can trigger our url. When function is created, you will see this page. If you click the url, you will get an error. Right now, add a query string parameter for url. Like as below. That’s cool. Of course, you can get fullpage or you can get title of page. You can manipulated the DOM with this way. 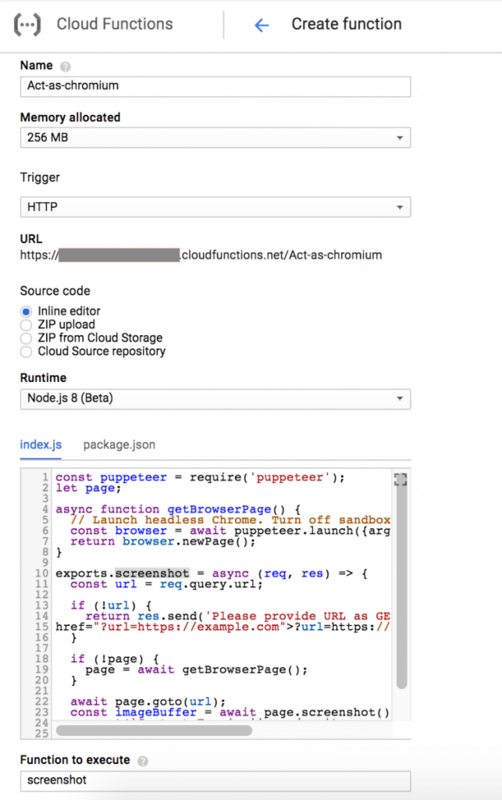 You should check api of Puppeteer library https://github.com/GoogleChrome/puppeteer.